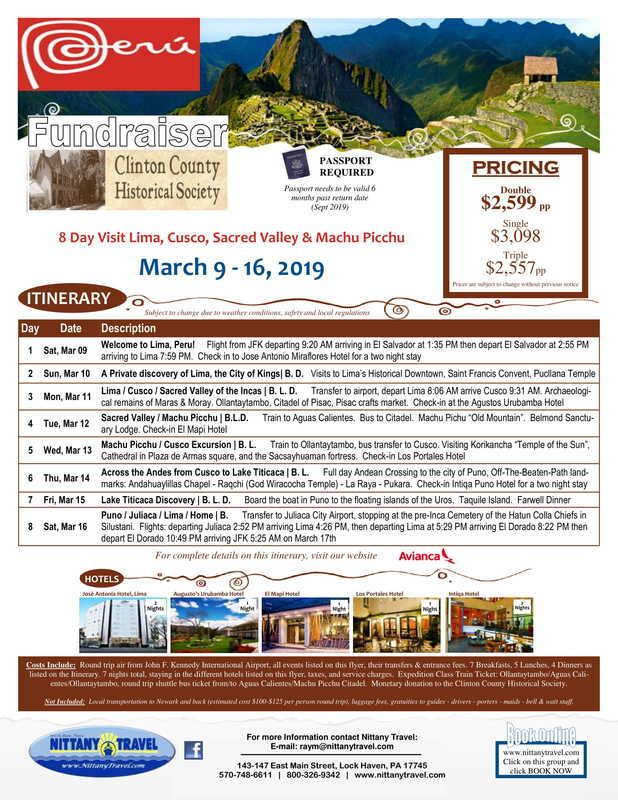 Join us for an exciting excursion to Peru! ​To sign up please visit www.nittanytravel.com or call 570-748-6611! May 25, 2019 through August 31, 2019: Saturday Tours from 10 am to 2 pm.